FinComBank has been founded in 1993. The Bank’s top directives consist of providing support to micro, small and medium sized entrepreneurs/businesses as well as Retail products and services development. Since 2015, JS FinComBank has the leading position regarding a high-quality credit portfolio in the whole banking system of the country. 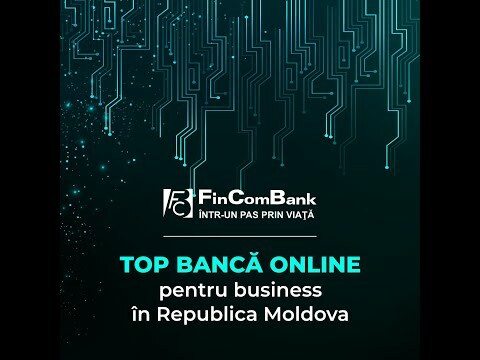 Presently, JS FinComBank actively serves more than 100.000 clients, among them, we have to mention, are the biggest exporters and importers of the Republic of Moldova, commercial enterprises and companies that activate within the agricultural sector. JS FinComBank works successfully on the whole territory of the Republic of Moldova and has already more than 100 branches and agencies. The Bank leads with the 3rd place in the national banking sector with its geographical network of branches and agencies. Along with the traditional network development, JS FinComBank actively implements the online servicing-internet banking, credit/debit cards online requests. The stability of the Bank’s activity is based on the high-quality services, on the reputation of a fair Bank, on the respect of the traditions ad on the implementation of new projects, services and innovations. Kaufland SRL, located in Chișinău, Sfatul Țării street, nr.29, is the newest member of the German Group Schwarz, one of the biggest retail groups, with more than 200.000 employees in Europe only. Having as main activities the wholesale of food products, drinks, non-food and Tabaco products, Kaufland SRL plans opening 6 stores in Chișinău, by 2020. The joint-stock Commercial Bank Moldova Agroindbank is the leader in the banking system of Moldova. As a universal financial and banking institution, the bank provides an entire range of qualitative banking products and services to individuals and legal entities. Financial stability, capital adequacy and efficient corporate management allowed the bank to achieve remarkable results and create an excellent business reputation among its customers and partners. METRO GROUP is one of the largest and most international retailing companies worldwide: Some 280,000 employees from 150 nations are working at around 2,200 stores in 33 countries in Europe, Africa and Asia. METRO Group's sales in 2011 raised up to € 66.7 billion . The portfolio of our strong sales brands offers a wide range of services for private and commercial customers: METRO/ Makro Cash & Carry - world market leader in cash & carry; hypermarkets Real ; Media Markt and Saturn - european leader in consumer electronics retailing and department store Galeria Kaufhof- the system leader in the department store business. METRO Cash & Carry Moldova is part of the sales divisions of METRO Cash & Carry and was launched in the Republic of Moldova in December 2004, opening the first store in Chisinau. At the end of 2006 in the Republic of Moldova there were 3 stores: Chisinau 1, Chisinau 2 and Balti, with a total selling space of 19,000 sqm and over 25.000 of food and non-food articles, sold in each store. As many as 700 employees are working now in METRO Cash & Carry Moldova. ARENSIA Exploratory Medicine is a German clinical research company with head offices in Düsseldorf. We provide specialised services to address the need for FAST PATIENT RECRUITMENT in Phase I / II / PROOF OF CONCEPT clinical trials. ARENSIA has built up its own network of state-of-the-art Exploratory Medicine Units, with full Phase I infrastructure, located across prestigious University Hospitals in Eastern Europe – Romania, Moldova, Georgia, and Ukraine. ARENSIA units are dedicated to conducting sophisticated exploratory protocols for all types of compounds that require intensive PK and PD assessments, with or without long hospitalisation. ARENSIA units use the latest imaging technology for patients across numerous disease areas. ARENSIA is committed to enabling patients by gaining access to new therapies as early as possible. Patient´s safety and comfort is of paramount importance at all ARENSIA units. Working with ARENSIA leads to a greatly increased efficiency through the reduction in the recruitment periods, and the overall number of sites and countries required. For our clients, this translates into considerable time and cost savings for the entire project lifecycle. ARENSIA is trusted by some of the World’s Leading Pharmaceutical and Biotechnology organisations. BCR Chisinau S.A. is one of the first foreign capital owned banks in the Republic of Moldova, subsidiary of Banca Comerciala Romana (Romania), member of Erste Group (Austria). BCR Chisinau purpose is to be a reliable and innovative partner for companies, their employees and clients. Actually the bank serves more than 16 thousand clients, both individuals and companies. 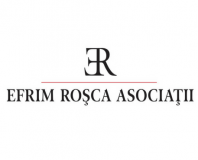 BCR is the most important financial group in Romania, offering banking services, as well as leasing, housing bank, pension fund and mobile transactions. Erste Group is one the leading financial services providers in Central and Eastern Europe, serving more than 17 million clients in 8 countries of the region. 'ENERGBANK' Commercial Bank is a joint-stock company. The Bank was founded on January 16, 1997. 96.5% shares of the Bank belong to enterprises of various type of property; 3.5% belong to individuals. The Bank's Authorized Capital is MDL 100,000,000 (as of 31/12/2010 this equals USD 8.23 million). 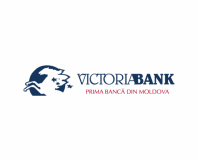 The Bank is a co-founder of an 'Garantinvest' Inter-bank Crediting Association, 'Biroul de Credit' Crediting Bureau, Guaranteed Deposits Fund for Moldovan Banking System, is rated on Moldovan Stock Exchange, is a member of Moldovan Banks Association, and an associated member of 'VISA Int.' and 'MasterCard Int.' payment systems. The Bank's Auditor is 'Grant Thornton' International Auditing Company. The Bank's mission is to become respected and successful universal financial institution which holds stable grounds in the market and follows international standards of banking services and corporative ethics principles. Î.C.S. „Red Union Fenosa” S.A. is the largest private electricity distributor company in Republic of Moldova. The company is part of Gas Natural Fenosa which is present in the 24 countries of the world. 2000 was a turning point in energy sector of the country, when three state enterprises have been privatized: ICS RE Chisinau SA, I.C.S. RED Center SA, and I.C.S. RED Sud SA, by the Spanish company UNION FENOSA INTERNATIONAL. Later, due to a whole process of transformation, in 2008 those three companies merged and formed ICS "RED Union Fenosa" S.A. The transformation process culminated in 2010 by merging at the international level of the companies UNION FENOSA INTERNATIONAL and GAS NATURAL, thus making up a high profile energy company with vast activities worldwide. In Moldova, the company has 33,000 km of power lines, covering 2/3 of the electricity distribution of the country. Red Union Fenosa serves over 820 thousand customers. Total investment for 11 years - over 2.6 billion lei ($ 211 million). The activity of Î.C.S. Red Union Fenosa S.A. in the economy of the country represents an European business model, being appreciated as an open enterprise for collaboration to promote pro-European and international values ​​and a transparent and favorable investment climate for all businesses prosper. Mobiasbanca is one of the first banks of the Republic of Moldova. It is an innovative Bank that has developed dynamically over the course of 26 years of activity, focussed to serve both corporate clients, as well as individuals. The Bank has a wide network of branches and agencies in Chisinau, but also in the whole country. The quality of our services is guaranteed by a team of true professionals of Mobiasbanca. 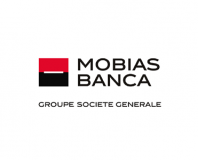 The main shareholder of Mobiasbanca is Societe Generale, one of the largest banking groups in the euro area, whose services are used by 32 million customers worldwide. Our values are commitment, responsibility, team spirit and innovation. Moldcell is a dynamic mobile operator providing the best of its class telecommunication services on the market of Moldova. Founded by the worldwide pioneer company in 4G services launch – TeliaSonera – Moldcell, alongside with 36 companies in 20 countries members of TeliaSonera group, nourishes local traditions based on the highest international quality standards, business ethics and corporate social responsibility. Being the first to launch 13 new technologies on the market of Moldova, Moldcell offers a full range of reliable innovative telecommunication services at the most advantageous conditions on more than 98% of Moldovan territory to more than one million of its clients. Moldcell is an active player of Moldovan society, eagerly contributing into the economic development of Moldova doing its best to transform our state into a prosperous successful country its citizens will be proud of. Sebeca Engineering SRL - registered at the beginning of 2011, provides design and construction services for industrial and commercial objects with controlled temperatures. The company offer the most advantageous solutions in terms of quality, design and construction costs: optimal investment size, functional handling convenience, optimal operating costs , energetic efficiency. Cromwell Evan Global business is the embodiment of a daring vision: to have a proactive approach towards any needs pertaining to the financial spectrum that clients might have, rather than just settling for a reactive one. While easier, it would not have been representative of the company. CEG looks to the future, which enables the company to be tech-focused, always using the latest software required to best assist their clients and partners. Currently, CEG is located both in Romania and Moldova, having a team of almost 20 professionals with a combined experience of over 100 years in the financial field. CEG is people-centric, believing strongly that the organization is defined by each of its individuals and their ethics and professional expertise. CEG core competences are Tax services, Audit and assurance services and Advisory services. Rikipal is recyclable used wooden pallets and producer of new wooden pallets. The company is manufacturer of wooden containers for storage of fruits and vegetables in industrial refrigerators. As ancillary products Rikipal sells packaging for palletizing - stretch film, polypropylene tape, cardboard junctions etc. The company was the first in the market that proposed everything for palletizing in one place. Rikipal - biggest producer and trader of wooden pallets and containers in Moldova. 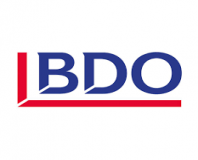 BDO Moldova - BDO Audit & Consulting has been operating since 2011. BDO offers challenging, ethical and practical advise to its clients, throuh a vast range of services: audit, accounting, payroll, tax and legal, business advisory, restructuring and system integration. 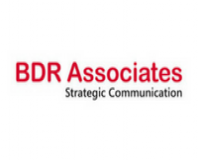 The distinctive reputation for client proximity is built upon BDO's commitment to all their stakeholders. As a member firm of BDO, the fivth largest accountancy network in the world, its services incorparate the requirrements of proffesional standards and expertise of a network of over 64,000 professionals operating through 1,408 offices in 154 countries. Altiad is a consulting company operating for more than 11 years in Europe and North Africa. Altiad offers to its clients intellectual performance services in the following field of activity: Finance, Accounting, Risks, Process and Procedure Organization and Transitional management. The concept and business model of AgroBourse has been designed by Altiad Paris and the technical development of AgroBourse 360° solution by the Tunisian branch - Altiad Tunis. Lear Corporation, a global leader in automotive seating and e-systems, is ranked #148 on the Fortune 500 with world-class products designed, engineered and manufactured by a diverse team of talented employees. 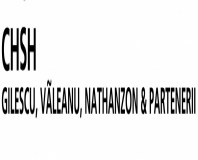 CHSH - GILESCU, VALEANU, NATHANZON & PARTENERII! CHSH is one of Austria’s leading corporate law firms, with an integrated practice in Central and Eastern Europe. The focus is on supporting the clients in their corporate decision making process. The company strives to develop and provide the best possible solutions for every challenge, tailored to each client’s needs. Nestlé is one of the biggest companies in the world in the food and beverage production industry, present in 1809 countries. The company employs over 323000 people and has 413 factories situated in 85 countries. Nestle products are sold in 186 countries in the world. 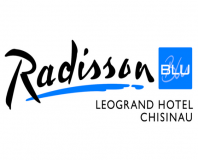 Founded in 1866 in Switzerland, where it is still based with headquarters in Vevey. Nestle annual sales in the world amounted it to 89,9 billion Swiss francs in 2017. Nestle business in Moldova is represented by the following categories: coffee and beverages (Nescafe, Dolce Gusto), Confectionary (Nesquik, KitKat, Nuts, Lion), readymade breakfast (Cini Mini, Cornflakes), culinary with cold sauces, condiments, instant noodles (Torcin, Mivina), baby nutrition and special meals, (NAN, Gerber, Estogen) and petfood (Purina, Friskies, Gourmet, Pro Plan). 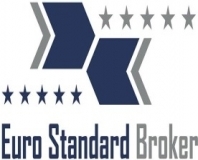 Eurostandard Broker SRL offers customs brokerage and customs compliance adviser services. Its staff has years of experience with customs processing and good professional skills. EUROSTANDARDBROKER will work closely with you to move your shipments through customs efficiently and smoothly. The company provides integrated and customized services. To stay competitive in today`s economy you need a customs partner that can clear time sensitive international cargo quickly and effectively. EUROSTANDARDBROKER helps clients successfully navigate complex trade regulations, thus avoid additional payments and delays. The company`s customs brokers are ready to manage your import and export processing and compliance assessment programs. British American Tobacco (BAT) was formed in 1902, as a joint venture between the Imperial Tobacco Company of the UK and the American Tobacco Company. Despite its name, derived from the home bases of its two founding companies, British American Tobacco was established to trade outside both the UK and the USA, and grew from its roots in dozens of countries across Africa, Asia, Latin America and continental Europe. BAT is the world's second largest quoted tobacco group by global market share, with brands sold in more than 180 markets. With over 300 brands in its portfolio, BAT makes the cigarette chosen by one in six of the world's one billion adult smokers. STRABAG SE is one of Europe’s leading construction groups. With some 73,100 employees, we generated a construction output volume of € 13.6 billion in the 2013 financial year. From our core markets of Austria and Germany, we are present via our numerous subsidiaries in the countries of Eastern and South-East Europe, in selected markets in Western Europe and in individual cases on other continents. We generated more than 76 % of our output volume in markets in which we hold one of the top three market positions, such as Austria, Germany, Hungary, the Czech Republic, Slovakia, Slovenia, Poland, Romania and Croatia. We offer our services under several brands, including STRABAG, Heilit+Woerner, Möbius and Züblin. The services span all areas of the construction industry and cover the entire construction value chain. Our vision: to become Europe’s leading pure construction service provider. To reach this goal, we strive to be the best bidder – i.e. to deliver quality at the best price. Japan Tobacco International (JTI) is a member of the Japan Tobacco Group of Companies, a leading international tobacco product manufacturer. It markets world-renowned brands such as Winston, Mevius (Mild Seven) and Camel. Other global brands include Benson & Hedges, Silk Cut, Sobranie, Glamour and LD. With headquarters in Geneva, Switzerland, JTI has operations in more than 120 countries and about 27,000 employees. EFES VITANTA MOLDOVA BREWERY (EVMB) is a member of EFES BEER GROUP and is one of the biggest breweries in the country, with brewing traditions since 1873.The portfolio of the company includes the following beer brands: Local-Chsinau with its extensions (Blond Aurie, Originali, Draft, Draft Mild, Special Tare),Foreign- Efes Pilsener, Stary Melnik, Sokol, Belyi Medvedi. Also EVMB is producing RTD beverages under the brand" Festival". Farm Meat Processing – one of the largest companies on the market of meat industry in Moldova. Quality Control Policy is built in accordance with international ISO and HACCP standards. All the processes we keep under strict control, so we are confident in the quality and safety of products that we offer to customers. Another ingredient of success is the largest variety of products on the market- all kinds of meat, sausages and grill products, hams and salami, which can be an ideal solution for each family. PwC has been providing distinctive services to clients in Moldova for over 17 years. We take great pride in our capability to think global and act local for the long-term success of our clients. PwC Moldova provides a full range of audit, tax, legal and advisory services, including: Assurance services, Consulting and Deals services, Performance Improvement, Corporate and Indirect Taxation (including customs), Regulatory compliance, Investments, Corporate and commercial Law, Real Estate, Tax Litigation, Competition and HR Services (tax, employment and immigration). Through constant dialogue with our clients and frequent contact with stakeholders in the wider business community, we strive to understand and address their needs. PwC is an active participant in a number of leading Moldovan business associations. Over the years we have developed constructive dialogues with Moldovan government authorities and international organisations. We help our clients achieve success in the market, but beyond that we seek to improve the investment appeal of Moldova internationally. PwC helps organizations and individuals create the value they’re looking for. We’re a network of firms in 157 countries with more than 195,000 people who are committed to delivering quality in assurance, tax and advisory services. Tell us what matters to you and find out more by visiting us at www.pwc.com/md. StarNet Company has been founded in 2003 and during next ten years it has developed the industry of information technologies and electronic communications. StarNet implemented the most modern and efficient data exchange systems and built the biggest optical fiber network in the country. Today StarNet offers a wide range of high-end services that are necessary for any home or business: high-speed internet acces and data transfer through the optical fiber network, telephony, interactive television with lots of options, data security solutions, free access to the metropolitan Wi-Fi network, corporate network design, Data Center and Cloud services, international IP transit services, consulting services, etc. Recently, StarNet turned into a corporation of 12 companies, which activate in different business domains, with a portfolio of 90 thousand clients and a crew of 600 employees. By concentrating the available resources where necessary, StarNet corporation achieves the performance of an technological giant. We are in a constant search of new opportunities, know-hows and innovations not only in our main filed, but also in others in order to provide the most diverse services for our clients. Founded in 1958, DRAXLMAIER Group is one of the biggest family businesses in Germany. The company develops and manufactures electrical and electric systems, luxurious interiors and onboard systems for cars and among the most famous customers include famous brands such as Mercedes-Benz, Porsche and BMW. Worldwide, about 55,000 people are employed in DRAEXLMAIER Group. In the Republic of Moldova, DRAEXLMAIER Group is present since 2007 and is one of the largest employers in the country. At the moment the company has 2 plants in Balti. “Continent SRL” is the official dealer of the Toyota brand in the Republic of Moldova for more than 20 years. Since its founding, our company has been aiming to enrich society through car making. Our goal is to be a “good corporate citizen”, constantly winning the trust and respect of the international community. Under Toyota’s Guiding Principles, we practice openness and fairness in our corporate activities, strive for cleaner and safer car making, and work to make the earth a better place for living. Turcan Cazac is the leading business law firm in the Republic of Moldova. The firm's client portfolio includes over 350 foreign companies operating in the country. Since 2001 Turcan Cazac has been recognized as the leading commercial/corporate law firm in Moldova by reputable market research publications (Chambers Global, Chambers Europe, Legal 500, IFLR1000, PLC Which Lawyer?, Who's Who Legal in M&A, Who's Who Legal in CIS and Best Lawyers). Researchers describe the team as "clearly the best" in Moldova, "a clear leader in the Moldovan market" and the "leading law practice in the country", while both clients and researchers refer to the level of service as superb. The firm is a member of the CIS Leading Counsel Network (CIS LCN) along with the top national law firms from Almaty, Ashgabat, Baku, Bishkek, Kiev, Moscow, Minsk, St. Petersburg and Yerevan. Turcan Cazac has also developed a bilateral "best friends" relationship with the leading Bucharest-based law firm Tuca Zbarcea & Associates. Turcan Cazac is an advocate of reform and improvement of the legal environment for doing business and an active member of the Moldovan business community. 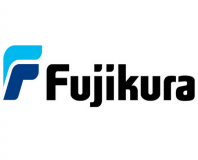 Fujikura is a foreign manufacturing company, developing and manufacturing power and telecommunication systems products, including devices for optical fibers, such as cutters and splicers. Fujikura company was founded in 1885, with headquarters in Tokyo, and during the time has opened divisions in several countries. Fujikura Group sales by 2015 amounted 6.326 billion US dollars and number of employees reached about 54.000 people. DAAC System Integrator is the largest Moldavian company which operates as a software solutions developer, technical service center and multi-service system integrator in the field of Information and Communication Technologies. DAAC System Integrator's portfolio includes over 50 globally renowned vendors, such as: Cisco Systems, Dell, Oracle, Hitachi, APC, SAP, 1C, Check Point, Polycom, Wincor-Nixdorf. Over 160 highly qualified staff regularly trained in Europe and overseas, with professional experience in the corresponding ICT fields are employed at the Company. Business processes are certified according to ISO 9001:2008 (management quality) and ISO 27001:2005 (information security), while the technical service process is built based on the ITIL and ITSM standards. Тhe main fields of activity: Audit and Consulting, Software Development, Business Applications, Mobile Applications, Technical Services, Banking Technologies, Information Security, Video and Audio, Infrastructure and Power, Data Processing, Data Networks, Office Equipment. 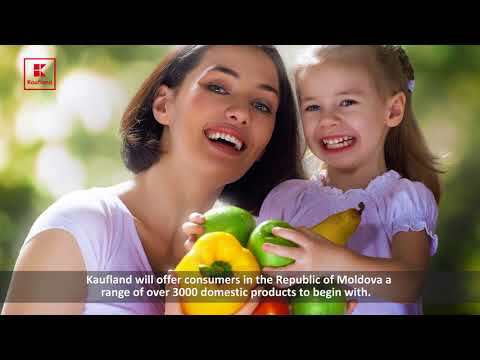 The Moldovan-German joint venture Südzucker Moldova SA is the leader of sugar beet cultivation sector in Moldova. The company owns currently 3 sugar factories. 2 sugar factories in Drochia and Falesti are involved in sugar production, while the sugar factory in Alexandreni avails of a modern logistics and packaging centre. In 2010 the company produced 75 thousand tons of sugar, which is 72% of total sugar production in Moldova. The main shareholder of the company is the European concern Südzucker AG, the largest sugar producer in the world. This concern owns sugar factories in Germany, France, Belgium, Poland, Austria, Hungary, Czech Republic, Slovakia and Romania. The volume of investments allocated for the modernization of two sugar factories was 30 million Euro. As a result, electricity costs were reduced about twice. The quality of sugar improved considerably. In 2008 JV Südzucker Moldova SA has been certified under the ISO 9001:2000 and НАССР international standards. Prime Capital is a fast-growingfinancial non-banking organization specialized in mortgage loans, SMEs financing, financing of developers and agroprojects, registered and operating in the Republic of Moldova. Prime Capital was established in January 2006 as first mortgage company in the Republic of Moldova. Prime Capital operates in Chisinau, where its head office is situated, as well as through three branches, that cover almost the main country regions. Our Mission is to offer a wide range of mortgage products and high quality service, thus satisfying one of key need of everyone in having its own house and increasing the quality of life in our country. We strive for supporting our clients and contributing to the creation of a community of people with developed ownership spirit, responsible for their families and with a high self respect. The Major Scope of "Prime Capital" is to offer lending products and to form a high quality loan portfolio and a positive image on the market, thus creating and permanently increasing the value of the Company. Prime Capital has a dedicated high professional team, which creates additional value to the Company. During its activity, Prime Capital developed a well-known brand that differentiates the Company from other market players. VARO-INFORM mainly specializes in information and advertising services. In the field of information services, we are specializing in issuance and distribution of business directories. We maintain our own Database «VARO. MOLDOVA. Producers and Services» that ranks first in Moldova by virtue of its most comprehensive and constantly updated information. In the field of advertising services - VARO-INFORM became the founder of outdoor advertising. The first street advertising board was mounted by VARO-INFORM in Chisinau in 1993. Today the firm owns more than 240 advertising surfaces, with a total area of about 4000m². Besides Chisinau, the firm also works in Balti, Tighina, Tiraspol, Ceadir-Lunga, Orhei, Leuseni, Comrat, Soroca, Hincesti, and Cimislia. JV “ZERNOFF” SRL is the largest producer of ENA (Extra Neutral Alcohol), DDGS and CO2 in Republic of Moldova. Our plant’s capacity is over 3 000 Tons of ENA and 3 000 Tons of high quality feed per month. Our main principles of business have always been insuring the highest quality of the products, as well as satisfying the needs of our customers. We start the production process from our fields, where we grow only the finest crops under constant supervision from the plant’s accredited laboratory. Then, the process continues to the distillation facility build by the best Italian and German manufacturers. Top specialists in the field working under quality management system ISO 9001:2008 and HACCP supervise the distillation process. Insuring the clients’ satisfaction is the second principle of the company. 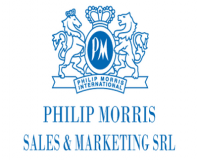 We strive to develop long-lasting relations based on trust and mutual profitability. The main advantages we offer to our partners is flexibility in pricing and delivery terms, accompanied by individual approach to every client’s needs. These principles helped us become the largest supplier not only in Moldova but also in other regions, expanding our operations through Europe and the World. We offer our products to countries like Turkey, Greece, Bulgaria, Poland, Africa, Asia and more. We are a safe supplier and are always happy to offer our products to new customers, develop new partnerships and to expand to new markets. 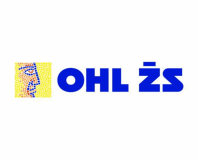 In the past – one of the largest manufacturers of NDT-Systems in Eastern Europe. Now – one of the most dynamic industrial companies in Moldova, with over 2000 employees. In 2008, INTROSCOP was privatized and during the last 5 years is being fully restructured and modernized. A crucial management change focused the company’s efforts to lead INTROSCOP into the international cooperation chain, putting the customer satisfaction, as well as the optimization processes and costs as the highest priority. In 2010, a totally new field of activity started for INTROSCOP, which entered the strategic cooperation partnership with the biggest harnesses manufacturers in Europe – the German Holding LEONI AG and Japanese holding SUMITOMO. 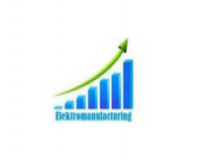 The company IM Elektromanufacturing SRL was founded in 2012, starting its production activity in January 2013. The main type of the company activity is production of inductive electronic components, modules and electrical assemblies for automotive industry, exporting 100% of its production. Being a resident of the industrialpark RAUT m. Balti, the IM Elektromanufactuing SRL created 380 workplaces, increasing the number of employees for 70-80 new workplaces annualy. In 2015 IM Elektromanufacturing SRL was certiffied according to Quality Management System ISO TS 16949, having received a powerful impulse in company’s development in 2 directions: in the number of produced products as well as implementation in production of new tipes of electronic components, modules and electrical assemblies. Grant Thornton Moldova was founded in April 2010. During this period, our firm has been continuously committed to providing quality and value services to clients. We are dedicated to serving the needs of privately held business and public interest companies delivering assurance, tax and advisory services. Our aim is having and developing a wide range of service lines, meeting the growing demands of our clients. Grant Thornton International Ltd ("Grant Thornton International") is one of the world’s leading not-for-profit organizations of independently owned and managed accounting and consulting firms. Grant Thornton International does not deliver services in its own name or otherwise. The services are provided by member firms. The member firms provide Assurance, Tax, Advisory Services and Business Advisory Services to privately held businesses, public interest entities and public sector entities. Firms operate in more than 100 countries. Grant Thornton International strives to speak out on issues that matter to business and which are in the wider public interest and to be a bold and positive leader in its chosen markets and within the global accounting profession. Trigor AVD was founded and registered by State Chamber of Justice in August 2001. Main areas of activity is distribution of FMCG products, logistics & transport services. In R.Moldova the company exclusively represents the following companies: Unilever, Kimberly Clark, Tchibo, Ferrero, Strauss, Ritter Sport, Osram, Bachmann, Biosphere (KPD), Lidskoe, Syabar (Heineken Belarus), TD Himik, Viorica Cosmetics, Ukraerosol. Logistics Division is in developing process, and currently the largest client is Coca Cola Îmbuteliere Chișinău SRL. Thanks to experience gained in 10 years of activity, the company provides market and its partners full range of service: marketing, sales, merchandising, primary and secondary distribution, logistics, transport, after services. The industrial complex of meat and sausages "ROGOB" is a modern and dynamic enterprise founded in 1997, beeing one of the greatest producers and suppliers of meat products and sausages from Republik of Moldova. At the moment, the company is one of 3 more succesful local companies concerning the volume of producing of own products. The basic principles of the company are to use the local raw material, the strictly monitoring of the quality of finished products, also to use the newest technologies in this field. The company's most important feature is oriented to clients and their need. The name of the trademark „ROGOB" is formed from initials of the builders and their name, underlining the care and attention offered to the preparation of each of the products. Meanwhile the company has developed and passed through many transformations, at this moment it has about 200 employees having the aim to increase to 500 workplaces, in the future. Also the specialized shops offer the whole range of products of our company. At this moment the „ROGOB" company delivers meat products everywhere in the Republik of Moldova, but the near future plans are to start the export of the products, building a sale market in the european area. “ABS” S.R.L. company activates on the market of Moldova since 1992. In waste management we began investing in 2006 by arranging PET packaging recycling factory and creating its own system of selective collection in Chisinau city. Also we cooperate with other enterprises across the country (importers, producers of PET packaging). We are in the process of launching an innovative project for Moldova, a Factory of municipal waste sorting, which will allow the extraction of recyclable part of waste and reintroduce it into the economic circuit. For this purpose we will reduce the amount of waste landfilled at landfills. 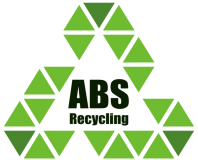 ABS SRL company have an ecofriendly policy and economic activity. IM" TirexPetrol" SA is a moder company, having a dynamic development on the oil market in Moldova, the main fields of activity being: import, wholesale, retail sale of petroleum products and storage services. 78 PECO stations located in different locations and on the routes of the Republic of Moldova provide an exemplary service level. Leo Grant was established in 2001 in Moldova as real estate developer, owner and manager of prestigious commercial real estate properties. The company's capabilities include a broad array of real estate developments, from corporate headquarters and offices to landmark properties, multi-use urban complexes and medical facilities etc. The company acquired its good reputation for high-quality developments and for its ability for consistent, organized and dynamic search of new projects to be realized. Leo Grant is a company-member of SUMMA group of companies, which is highly active on the markets of Turkey, Russian Federation, Romania, Moldova, Libya etc. in the field of turn-key construction, engineering, architectural design, project financing, equity participation, real estate investment and development, trading, feasibility studies. Since 1969, SUMMA has always enjoyed a reputation for high-quality, responsibility, and on-time execution of contracts, complying with international standards and proving itself as a reliable partner for international financial institutions.s. Coca-Cola Imbuteliere Chisinau SRL was registered in Moldova in 1994. The company has one Plant located in Chisinau. Locally produced beverages consist a total of 60% from the entire company's sales volume. Coca-Cola Hellenic Company is one of the largest bottlers of non-alcoholic beverages in Europe. Operating in 28 countries with a total population of more than 550 million, Coca-Cola Hellenic was created in August 2000 with the merger of the Athens-based Hellenic Bottling Company S.A. with Coca-Cola Beverages plc. Coca-Cola Hellenic's product line includes carbonated (CSD) and non-carbonated (non-CSD) soft drinks, juices, water, sports and energy drinks, and ready-to-drink beverages such as teas and coffees. With a geographical range that stretches from the Republic of Ireland to the eastern-most parts of Russia, and from Estonia to Nigeria, Coca-Cola Hellenic is focused on meeting the demands and local tastes and cultures of all its markets. The key ingredient in the company's performance is the commitment, enthusiasm and total dedication of every management member and of the more than 41,000 Coca-Cola Hellenic employees. Coca-Cola Hellenic is committed to cultivating a diverse, rewarding culture that encourages people to develop to their fullest potential. SC «Business Intelligent Services» SRL (BIS) is a local consulting firm and one of the country's top advisor on business strategy. We partner with clients from the private, public, and not-for-profit sectors in all regions to identify their highest-value opportunities, address their most critical challenges, and transform their enterprises. We deliver tangible and positive change, not simply presentations or ideas. Our customized approach combines deep insight into the dynamics of companies and markets with close collaboration at all levels of the client organization. This ensures that our clients achieve sustainable competitive advantage, build more capable organizations, and secure lasting results. Founded back in 2000, BIS is a privately owned company with domestic and foreign capital and is the lead company of BIS Group along with BIS Capital Investment House Ltd. and BIS Credit Info Ltd.
We dream about the perfect dessert and decided to turn dreams into reality. 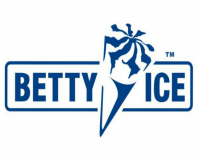 Betty Ice is our dream, founded in 1994 and currently acknowledged as one of the leading ice cream companies in Romania. We started out with the mission to be the best in what we do. The best ice cream on the market became our chief goal. We learned everything we needed on the fly and experienced both achievements and failures in order to become the ice cream kings. ln 1999, the Dulghers purchased "Tiganca" wine factory from Plopi village. Even though it was in а deplorable state, the winery was provided with the most important thing necessary for producing quality wine - underground cellars with constant temperatures both in summer and in winter, which contributes to the decent maturation of the wine. The Dulghers credo is to produce quality wines with unique taste and flavour, which required large and long-term investments, as well as а lot of indispensable hardworking. Gitana wines are complex and elegant wines, with а distinguished style, that manages to capture the particularities and the specific character of the area of origin, Vаlul lui Traian. The experts claim that this region is located in one of the best in the Republic of Moldova for the growing of grapes for red wines and liqueur, due to climate conditions, which are similar to those of the famous wine regions Воrdеаuх (Frаnсе) and Piedmont (ltaly). 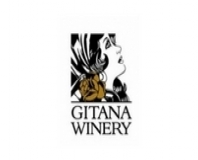 Gitana winery pays most attention to the quality of wines, based on traditions and "know-how" in the field. Due to соmрliаnсе with this principle, Gitana wines enjoy acclaim from both professionals and соnsumеrs, winning over time many awards in the specialized competitions in the Republic of Moldova and abroad. KPMG firms are some of the world's leading providers of Audit, Tax and Advisory services. We have more than 145,000 people operating in over 152 countries. We aim to respond to the complex business challenges facing our firms' clients. We adopt a global approach spanning professional disciplines, industry sectors and national borders. KPMG Moldova opened its office in 1997, and in 2001 became affiliated with KPMG in Romania. Now KPMG in Romania and Moldova employs more than 600 people, including both local and expatriate staff, who combine detailed experience of the Romanian and Moldovan markets with international know-how. The Company "Monicol" LLC deals with producing and exporting walnut kernels and dried fruits. It was founded in 2001 and along the time has developed its product range, production facilities, becoming one of the local market leaders in this field. During its activity the Company has built a positive image on the local as well as on the foreign markets supplying its products to a large range of companies over the world. We own a processing factory of about 4,800 m2 located at 15 km from Chisinau with workshops destined for walnuts processing, production of dry fruits and storage facilities. Also we have collection points located in most favorable parts of Republic of Moldova. Our products are of high quality in accordance with international standards, proved by quality certificates ISO 9001:2000 and HACCP. Owing to an excellent quality and competitive prices we sell our products in almost all European Countries, USA, Russia, Byelorussia, Baltic countries. We have a permanent team of 100 experienced and highly trained specialists. During the season around -300-350 persons are employed for the production process. They have many years of experience in working with walnuts and dried fruits. We also provide services of processing walnuts in shell consisting in cracking, sorting and packing. The company Monicol is a beneficiary of the World Bank-financed Competitiveness Enhancement Project which provides matching grants to Moldovan companies in implementing international quality standards (ISO and HACCP). Brodsky Uskov Looper Reed & Partners is the largest business support legal consulting company based in the Republic of Moldova. Our mission is to provide legal support services according to the internationally accepted practices to companies that are adjusting to the specific Eastern European conditions, and to provide assistance in their entering these new markets, as well as to provide legal assistance on the territory of the Republic of Moldova.